한국은 20세기 그 어느 때보다도 2018년에 더욱 중간국가로서의 역할을 수행했습니다. 2016-2017년 겨울에 있었던 촛불시위를 통해 회복능력을 증명했던 민주주의 사회, 2018년에 보여준 평화, 비핵화 및 발전을 위한 장을 철저하게 추구하고자 했던 용기는 국제사회로부터 충분히 인정받을 만 합니다. 한국의 외교적 노력의 수준, 범위, 섬세함은 많은 다른 국가들로 하여금 놀라게 할 수도 있는데, 이는 한국인들이 지닌 결단력을 인정받게 된 것임을 의미합니다. 그것이 부담이 될 수도 있지만, 2019년에는 한국으로부터 보다 많은 것을 기대되어야 할 것을 위한 토대가 이미 마련되었습니다. 위험성이 높은 만큼, 기대 또한 높습니다. 한국이 현재 펼치고 있는 진지한 게임은 심오한 결과를 가져올 수 있습니다. 마치 체스 게임과 같고, 문재인 정부는 어쩌면 동시에 3가지 혹은 4가지의 복합 게임을 해야 합니다. 대체적으로 지난 시기 한국과 미국 그리고 북한 정부들이 등한시했던 태도로 인해, 이들 모두는 문재인 대통령이 2017년 5월에 새로이 취임함에 따라 더욱 대응책 마련에 바빠지게 된 셈입니다. 2018년 한해가 마무리되고, 그동안 취했던 조치가 잠시 중단됨에 따라, 2019년에 어떤 일이 일어날 수 있고 일어날지를 상상해 보는 것은 매우 유용합니다. 한국은 중간국가의 역할을 수행할 수 있을까요? 남한과 북한 간의 관계 회복은 언제나 한국이 중간 국가로서의 영향력을 행사하는 데 있어서 필수 전제조건이었습니다. 우리는 남북간의 지속적인 노력이 결실을 맺기 시작했던 1998년부터 2008년까지의 故 김대중 및 노무현 정부로부터 그것을 목격했습니다. 특히 故 김대중 대통령이 북한 문제를 정면으로 다루면서 북한의 관심을 불러일으키기 위해서는 국내 민주주의 발전이 필요하다고 강하게 주장했기 때문에 그런 방향으로 실현되었습니다. 故 김대중 대통령의 당선은 최초로 권력 집단들의 평화적 변화 및 민주적 제도의 확립과 통합을 이끌었습니다. 한국의 새로운 민주적 정당성은 미국의 참여적 협조와 더불어 북한과의 관계를 맺는 것을 용이하게 했습니다. 한국에서 이뤄졌던 것들 중 가장 성공적이었던 비핵화 및 평화 구축 합의는 때때로 잠시 주춤하기도 했지만 이후 여러 해 동안 유효하게 이행되었습니다. 그러나 우리는 그 다음 10년 동안 이명박 및 박근혜대통령이 행정부를 이끄는 동안 부패로 인해 정부의 국내 권력과 정당성이 저하되고, 북한을 대한 비현실적인 전략이 추진됨에 따라, 한국이 중간 국가로서의 성장은 지연되게 되었음을 목격했습니다. 2008년부터 2017년까지 한국에서 다시 기승을 부렸던 자유를 제한하는 요소들은 통치방식(거버넌스)과 외교적 구조의 현대화를 지연시켰으며, 협력하는 남북 평화 구축이 가져올 전략 재설정에 저항했습니다. 그 중 특히 박근혜 전 대통령은 성공적인 한국 복원을 위해서 필요한 2가지 핵심 요소인 국내 민주화 및 합리적인 북한과의 관계 맺기를 무시했습니다. 게다가, 그녀는 단지 두 가지 사례에 주목하기 위해 자신을 반대하는 자들에 대한 광범위한 정부 블랙리스트를 만들고, 이데올로기적 프레임을 바탕으로 한 정당을 법적으로 금지하면서 한국을 권위주의적 방식으로 통치했습니다. 그녀는 또한 현실가능성이 없고, 대중의 지지를 거의 얻지 못한 현실과는 동떨어진 북한 흡수통일정책을 옹호했습니다. 다행스럽게 2018년에 동북아시아와 미국 간에 가졌던 외교 행사들은 1990년대 후반과 2000년대 초반에 엿보였던 한반도의 가능성을 떠올리는 방식으로 그런 상황 쪽으로 반전시켰습니다. 이명박근혜 정권에서 진행되었던 각종 계획과 전략적 조정들은 이제 없어지고 수정되었습니다. 올해의 전개는 북한과 남한, 그리고 북한과 미국 간의 관계가 역사적 진보를 이뤄냈던 지난 경험을 토대로 성립되고 전진되어야만 합니다. 1998-2002 당시와 현재의 주요 차이점은 바로 미국이 취하고 있는 입장입니다. 1990년대에 미국은 전쟁억제 정책을 그대로 유지하면서 북한의 핵 문제에 관여할 수 있는 여러 방법들을 모색해보기 시작했습니다. 이는 1994년 북미간 핵동결협약의 결과를 이끌었으며, 이는 1997년 말에 한국에서 포용적 정책에 대한 생각을 지닌 김대중 전 대통령의 당선에 의해 더욱 강화되었습니다. 오늘 시점에 다시 남한과 북한 모두 앞으로 나아갈 준비가 되어 있으며, 중국인들은 다시 한 번 그러한 과정을 지지하고 있습니다. 그러나 미국은, 트럼프 대통령의 관습에 얽매이지 않은 연출과 대외적 무력 위협에 대한 포기 의지에도 불구하고, 선도적 역할을 수행할 수 없습니다. 미국이 현재 사실상 어떤 거래를 받아들이기 위해서는, 미국내 다른 인사들이 나서서 주요 의사결정자로 이끌기 보다는, 당사자인 한국이 이끌어야만 할 것입니다. 한반도 평화라는 이슈에 대해서 미국 내에는 이를 이끌 수 있는 인물이 없으므로, 반드시 한국이 대신해서 행동해야 합니다. 문재인 대통령이 당선되었을 때 이러한 상황은 예측되었음에도 불구하고, 여전히 변함없이 미국 정부의 정책들은, 지난 행정부에서 새로운 행정부로 바뀌었을 때에도, 미국의 희망에 따라 한국의 국익을 희생시키라는 강한 압력을 통해서 오랫동안 남한에 가해져 왔습니다. 이는 한 세대를 넘어 그 어느 때보다도 미국이 약하고, 혼란스럽고, 정책을 세울 수 있는 능력이 떨어짐에도 불구하고 왜 미국이 2017년과 2018년에 남한과 북한 간의 관계가 급격히 발전하는 중심 속에 있었는지를 설명하는 데 도움이 될 수 있습니다. 남북한에 대한 상기 전략의 유일한 장점은 트럼프 대통령이 가장 도발적인 군사 훈련을 포기하고 정상급 외교를 받아들임으로써 15년간의 백악관 정책을 배제시켰다는 것입니다. 그러나 이러한 노력은 예전 입장으로부터 멀리 벗어나려는 미국의 능력을 소진시켰다는 것이 점점 명백해지고 있습니다. 이전의 “전략적 인내” 사고 요소들은 그들 자신이 취해야 할 것에 대해 분명히 하도록 만들었으며, 트럼프 대통령은 미국이 한반도 비핵화 및 전개(발전)에 대한 장애물부터 지지자까지의 중심점을 어떻게 완수할 수 있었는지를 완전히 이해하고 있다는 어떠한 것도 보여주지 못하고 있습니다. 미국의 입장이 바뀌지 않는다면, 내년 초에 두 번째 미국과 북한 정상 회담이 열릴 가능성은 낮습니다. 앞으로 나아가는 데 있어서 요구되는 것은 무엇인가요? 북한의 핵 및 미사일 능력에 대해 검증 가능한 상한 및 하한선에 대한 상당 부분이 UN 제재로부터 완화되어야만 합니다. 이는 최소한 1994년 이래로 쭉 그래왔습니다. 비핵화는 북한과 미국관의 외교 관계가 바뀌는 경우에만 실현 가능할 것입니다. 이러한 목표들이 이뤄졌던 때에 주요 외교 및 경제 개방이 협상의 일부로서 등장했었고, 이는 다시금 기대되어야만 합니다. 그러나 김정은 국방위원장이 경제 및 외교 개방을 위해 핵 및 미사일 생산능력을 거래하는 것에 대해 심각해하고 있을지라도, 그는 이제는 미국이 상호 수락할 수 있는 거래를 다시 시작하는 데 심각해하고 있지 않다는 것을 확실히 알아차리고 있습니다. 한국 내 일부 또한 동일한 결론을 내리고 있습니다. 그 누구도 어떤 거래가 효과가 있을지는 정확히 알지 못하지만, 좋은 제안들이 제시되었습니다. 이전 한국 통일부 이종석 및 정세현 장관, 그리고 이전에 핵 확산 방지에 대한 미 국무부 특별고문이었던 로버트 아인혼(Robert Einhorn)이 제시한 의견들은 가능하면서도 훌륭한 출발 원리를 펼치고 있습니다. 이전 한국 통일부 이종석 장관은 공정하든 공정하지 않든, 미국 정부는 북한이 먼저 제안을 할 것을 요구하고 있다고 지적합니다. 그 제안은 비핵화에 대한 광범위하고 중대한 조치들을 포함해야만 합니다. 로버트 아인혼(Robert Einhorn)은 북한이 제시할 수 있는 적절한 제안은 핵분열성 물질들이 생산되는 모든 장소를 알리고, 개발을 중단하고, 그것들을 검사하도록 개방하는 것이라고 제안했습니다.정세현 전임 통일부 장관은 문재인 정부가 나름대로의 구체적인 계획을 분명히 할 것을 촉구했습니다. 그들 중 누구도 구체적인 얘기하지는 않았지만, 만약 김정은 국방위원장이 그러한 제안을 한다면, 있을법한 미국의 반발과는 관계없이 유엔이 제재를 완화하는 데 중요한 근거가 될 수 있습니다. 이제 한국 정부는 2017년과 2018년에는 이룰 수 없었던 것을 해야만 합니다. 그것들에는 모든 측면에게 있어서 우호적인 시작점이 될 수 있는 분명한 거래를 제안하고, 주변국과 우호국 그리고 동맹국들에게 구체적인 도움을 청하면서, 연계된 핵무기와 미사일 및 경제개발과 관련된 거래에 대한 확실한 진전을 돕는 데 있어서의 UN 개입의 요청 등이 있습니다. 많은 전문가들은 그러한 제안과 거래가 전적으로 가능하다고 보고 있습니다. 그러나 한국정부는 세련된 방식으로 한국의 이해와 더불어 미국과 석연치 않은 동맹관계를 지닌 주변 국가들의 이익을 유지하는 방향으로 유도하고 전진해 가야할 것입니다. 그리고 한국은 미국이 이 거래를 지지하도록 이끌어야만 할 것입니다. 한국은 그렇게 할 수 있습니다. 미국은 현재 그 어느 때보다도 외부적 도움(지도)를 필요로 합니다. 이 모든 것들은 논리 정연한 전략적 비전, 보다 일관된 정책 수립, 자신의 입장을 옹호하는 명확하고 지속적인 목소리를 지닐 때, 한국 정부가 안보 부분에서 의제를 달성하는 데 도움이 된다는 것을 시사합니다. 좋은 소식은 지난 19개월간 해왔던 고된 일들이 여러 방면에서 그 결실을 맺고 있다는 것입니다. 그러나 염려하고 있는 유럽 국가들 및 국제단체 뿐 만 아니라 여전히 불안정한 북한, 변덕스러운 미국, 그리고 경계하고 있는 아시아 근방국가들 사이에서 제대로 된 방향을 찾는 데 있어서의 복잡성과 요구조건들은 보다 강화된 역량과 집중적인 노력을 필요로 합니다. 문재인 정부는 성공하기 위해서는 필히 담대해야 하지만, 김정은 국방위원장과 트럼프 대통령 간의 새로운 유연성을 포함해서 지금까지의 운이 계속 될 것이라고 기대할 수 없습니다. 대신에 미래에 대해 명확하게 길을 안내해주어야 하며, 격언에 있는 바와 같이 자신의 운은 자신 스스로 만들어나가야만 합니다. South Korea acted more like a middle power in 2018 than at any time in a century. International recognition of its resilient democratic society, showcased through the “Candlelight” demonstrations in the Winter of 2016-2017, and of its courage in exhaustively pursuing openings for peace, denuclearization, and development this year, is well-deserved. The level, breadth, and delicacy of its diplomatic efforts would exhaust many other countries, but Koreans are righty known for their determination. It may not be fair, but the bar has been raised for what should be expected from Seoul in 2019. Expectations are high because the stakes are high. The dead-serious games Seoul is playing will have profound consequences. Each is like a chess game, and the administration must play three or four at once. This government did not create any of these diplomatic/strategic crises. But largely due to neglect by previous administrations in Seoul, Washington and Pyongyang, they were all becoming more urgent as Moon assumed office in May 2017. 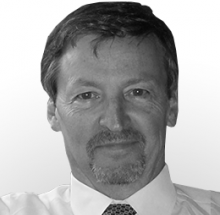 As this year ends there is a pause in the action, so it is useful to imagine what could and should happen in 2019. Can Korea act as a middle power? Inter-Korean rapprochement has always been the essential pre-condition for Seoul’s realization of its middle power potential. 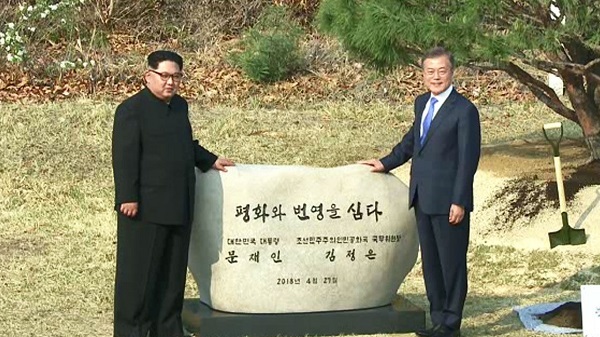 We saw this during the presidencies of Kim Dae Jung and Roh Moo Hyun from 1998 to 2008, when sustained South-North efforts began to bear fruit. They did so because Kim in particular insisted that domestic democratic advancement was required to both confront and engage North Korea. Kim’s election led to the first-ever peaceful change of power groups and the establishment and consolidation of democratic institutions. Seoul’s new democratic legitimacy facilitated it’s engagement with North Korea, as did coordinated engagement by the US. The most successful denuclearization and peace-building agreements ever accomplished on Korea were implemented in these years, albeit sometimes haltingly. But the next decade saw the growth of South Korea’s middle power delayed as corruption drained the administrations’ domestic power and legitimacy, and unrealistic strategies towards the North were pursued during the Lee Myung Bak and Park Guen Hye presidencies. 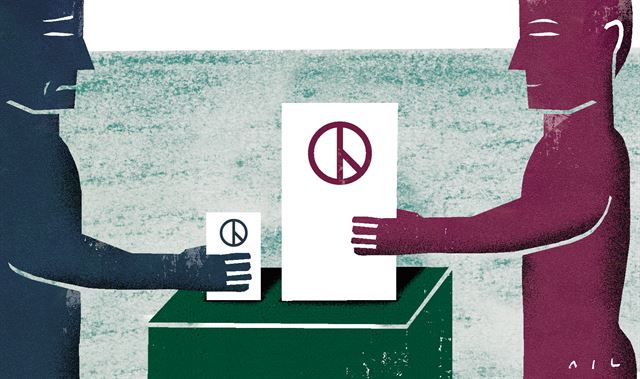 From 2008 to 2017 resurgent illiberal elements in Korea stalled modernization of governance and diplomatic structures, and resisted the strategic reset that cooperative North-South peace-building would produce. Park Guen-hye in particular ignored the two central elements of any successful Korean reintegration: democratization at home, and smart engagement with the North. Instead, she returned to authoritarian methods at home, creating an extensive government blacklist of opponents and outlawing a political party on ideological grounds, to note just two examples. She also advocated a mythical absorption policy toward the North, which had no practical prospects and gained scant popular support. During 2018, diplomatic events in Northeast Asia and the US have altered the status quo in ways that recall the possibilities for the Peninsula that were last glimpsed in the late 1990s and early 2000s. Plans and strategic adjustments that were underway at that time are now being dusted off and updated. This year’s developments should be framed by that experience, when both North-South and North-US relations were making historic advances. The key difference between then and now is the position of the US. In the 1990s, the US began exploring ways to engage Pyongyang on the nuclear issue, while still maintaining deterrence. This resulted in the 1994 US-DPRK Agreed Framework, which was strengthened by the election of the engagement-minded Kim Dae-jung in South Korea at the end of 1997. Today both North and South Koreans are again ready to move ahead, and the Chinese once again are supportive of the process. But the US, despite President Trump’s unconventional theatrics and willingness to abandon regularly-scheduled sabre-rattling, is not capable of playing a leading role. For the US to accept virtually any deal now, it will have to be led to it, rather than leading others as the prime decision-maker. No other actor can or will lead the US on this issue, so Seoul must. Although this situation was predicted when Moon was elected, there have long been strong pressures on Korean governments to sacrifice national interests to America’s wishes, even when Washington’s policies have changed radically from one administration to the next. That may help explain why the US was placed in the center of rapidly-evolving North-South relations in 2017 and 2018, despite its being weaker, more confused, and less able to make policy than at any time in over a generation. The sole advantage of this strategy for the two Koreas has been Trump’s rejection of 15 years of White House policy by abandoning the most provocative military exercises, and embracing summit level diplomacy. But it is becoming clear that these efforts have exhausted Washington’s ability to steer away from its former posture. 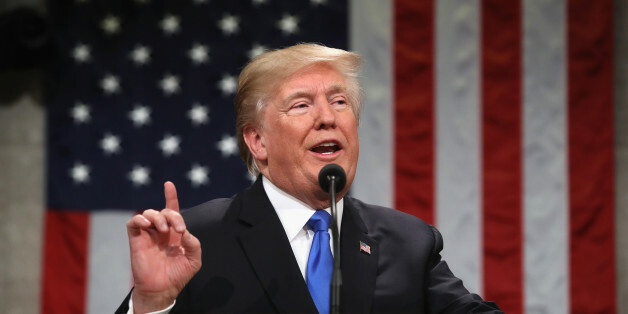 Elements of the previous “strategic patience” thinking have reasserted themselves, and Trump shows no sign of grasping how the US could complete its pivot from obstacle to supporter of Peninsular denuclearization and development. A second US-DPRK summit early next year is unlikely unless the US position changes. What will forward movement require? Verifiable capping and rollback of North Korea’s nuclear and missile capabilities requires major relief from UN sanctions. This has been the case since at least 1994. Denuclearization would be possible only in a changed North Korean diplomatic relationship with the US. The last time these goals were accomplished, major diplomatic and economic openings emerged as part of the deal, and this should be expected again. However, even if Kim Jung-un is serious about trading nuclear and missile capabilities for economic and diplomatic openings, he is surely by now sensing that the US is not serious about returning to a mutually acceptable exchange. Some in South Korea are coming to the same conclusion. No one knows precisely what deal would work, but good suggestions have been offered. 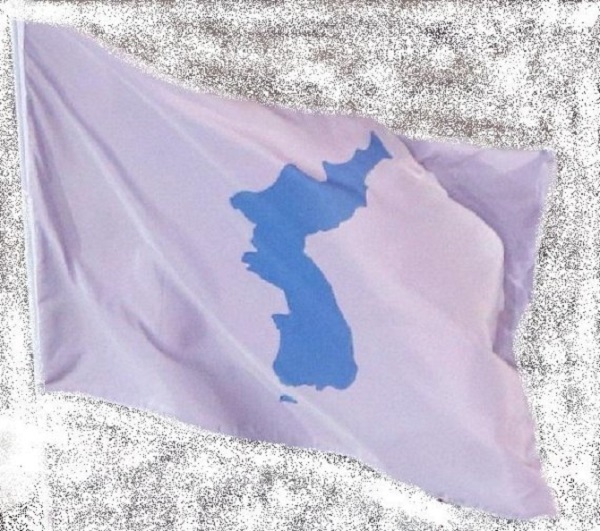 Ideas from former South Korean Unification Ministers Lee Jong-seok and Jeong Se-hyun, and from Robert Einhorn, former Special Advisor to the US State Department on nonproliferation, lay out some excellent starting principles. Lee’s point is that, fair or not, this US administration requires that North Korea to make its offer first. That offer should contain broad and serious steps toward denuclearization. Einhorn suggests that an appropriate proposal from North Korea would be to identify all sites where fissile materials are produced, freeze development, and open them to inspection. 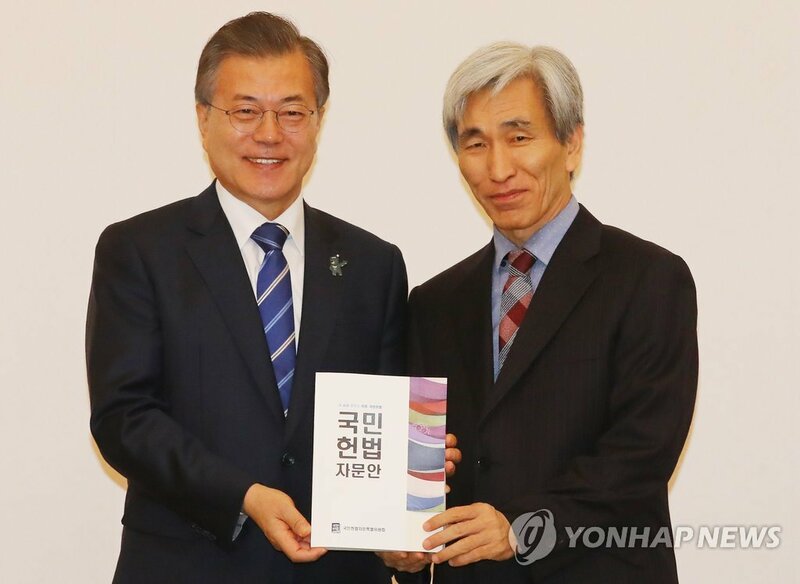 Jeong urges the Moon administration to specify a concrete plan of its own. None of them says so, but if Kim Jung-un were to make such an offer, it could be the basis for significant UN sanctions relief, regardless of possible pushback from the US. Now the Seoul administration may have to do what it declined to do in 2017 and 2018: put forward a clear deal that would be a winning starting point for all sides, seek specific help from neighbors, friends and allies, and engage the United Nations to help secure progress on the linked nuclear, missile and economic development deals. Many specialists believe the deal is entirely possible. But Seoul would have to grow into a self-confident and bold promoter of its own interests and those of its currently inarticulate US ally, and to do so in a sophisticated way. And it would have to lead the US to support this deal. That can be done. The US needs guidance now more than ever. All of this suggests that a coherent strategic vision, more cohesive policy-making, and a clear and sustained voice advocating its position will help the Korean government achieve its agenda in the security sphere. The good news is that the past 19 months of grueling work has paid off in multiple ways. But the complexity and requirements of navigating among a still-insecure Pyongyang, a capricious Washington, and wary Asian neighbors, as well as concerned European friends and international groups, demands enhanced capacities and focused effort. The Moon Administration must be bold to succeed, but it cannot expect its luck so far – including the new flexibility by Kim and Trump – to continue. Instead, it must clearly show the way, and make its own luck, as the saying goes. 87년 헌정체제, 무엇을 고쳐야 하는가?